Havas has launched what it claims is a "fully transparent" software platform for clients to "track and monitor" the programmatic ad-buying process "for the first time". 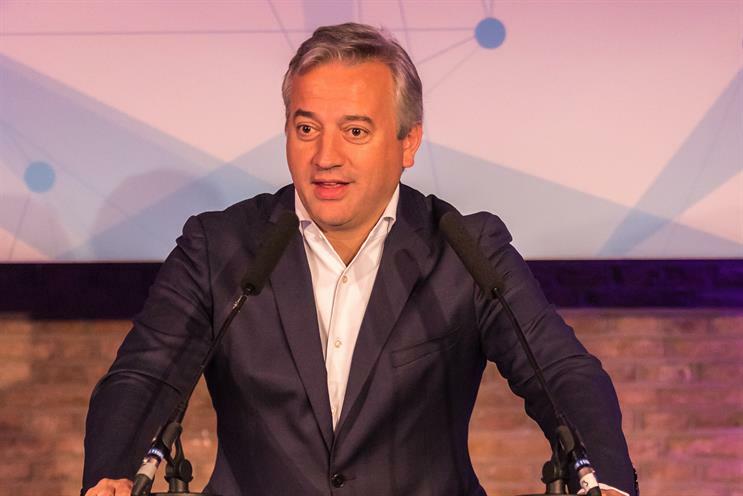 Dominique Delport, global managing director of Havas Group, said the platform, called Client Trading Solution, is "unpredecented". It will give brands "greater control" and "full visibility on costs" and simplify a marketplace that has become too complex and opaque, Delport said. He described CTS as "a control tower" that displays "all of a client’s programmatic trading" across a range of agency trading desks, demand-side platforms and other intermediaries "in one place". Delport said: "CTS is a breakthrough in an industry where is an issue of mistrust that is poisoning the value chain." Havas said it spent two years working with data scientists from its tech innovation arm, MFG Labs, to develop CTS amid mounting concern across the ad industry about transparency in the media supply chain. CTS "delivers exceptional visibility of digital workflow at every stage of the campaign – programmatic media planning, partner negotiation, ad-serving, campaign set-up, monitoring, optimisation and reporting – within a fully independent, technology agnostic eco-system that is open to all partners", according to Havas. Telefónica, the owner of O2, is already using CTS and said the platform is giving the telecoms giant "the control and transparency that we need in the programmatic environment". Delport said clients that use CTS can choose to work with any trading desk or DSP but it doesn’t cover the prices received by media owners on the supply-side of the programmatic chain. Havas is in the process of merging with a media owner as Vivendi, the owner of TV group Canal+, has made an offer to buy 60% of the ad agency group from Bolloré Group. Delport suggested it would be up to advertisers to decide if Havas should "push Vivendi properties to disclose on the supplier side" the prices that they receive. "This is something that is led by the client," he said. However, Delport pointed out the existing financial relationship between Havas and Vivendi, which have worked closely for several years, was fully disclosed. "You can’t find any level of opacity in the relationship between Havas and Vivendi," Delport said. He said there has been an explosion of players in the media supply chain, rising from 500 to 4,000 in just a few years, and it was important to simplify and move away from "black box" trading to a more transparent eco-system. Asked if Havas buys digital inventory as principal and resells it at a mark-up, Delport said: "We don’t do that." Pressure is growing on media agencies to be more transparent. A report by the US Association of National Advertisers said last week that media owners have been receiving as little as 58 cents of a marketer’s $1 in programmatic spend because there are so many intermediaries. The ANA report looked largely at DSPs rather than agency trading desks because the trade body found it hard to get such information from agencies. Ad tech firm MediaMath and Google’s advertising service, Doubleclick, said they welcomed Havas’ launch of CTS.